Over the weekend, the San Jose Sharks hosted the New York Islanders at SAP Center with the home team coming out on top 4-1 to put the squad at a record of 4-3-1 on the young season. The biggest story from this game was a moment when a puck was thrown into the stands as a souvenir for a lucky fan. 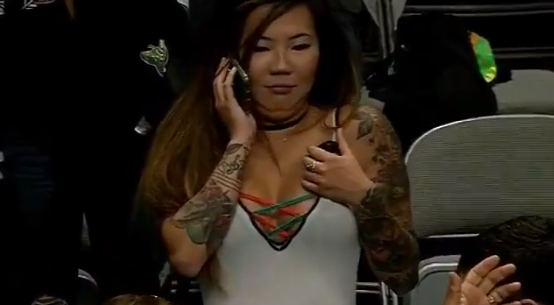 One young lady who was dressed with nex to nothing on was spotted on her cell phone, so she tried to catch it with one hand. She failed miserably as the puck hit her in the face, but she managed to catch it as it made its way down to her breasts.